The Kentucky Derby isn’t your typical shorts-and-shirt affair, there’s a certain flair to it that you won’t find anywhere else. If you’re not quite sure how to pull off these preppy, southern-inspired looks on your own, we’ve pulled together a few outfits for inspiration—depending on just how “Derby” you want to feel. This is the time to bust out the bright pastels and spring-inspired patterns, and don’t be afraid to do both. Gingham, polka dots, and stripes are all welcome. Although we have guidelines when it comes to matching prints on shirts and ties, consider this one of the times to throw caution to the wind. Speaking of wind, May weather in Louisville could mean 55 or 75, so layer up. Colder temps probably mean planning on a wool sport coat and slacks, but on the warmer side, shorts and a linen or seersucker sport coat are the move. Want something specific? Trunk Club can create custom apparel in any color or pattern you can dream up. If you’re watching the races with friends at home or a bar, this is what to wear. 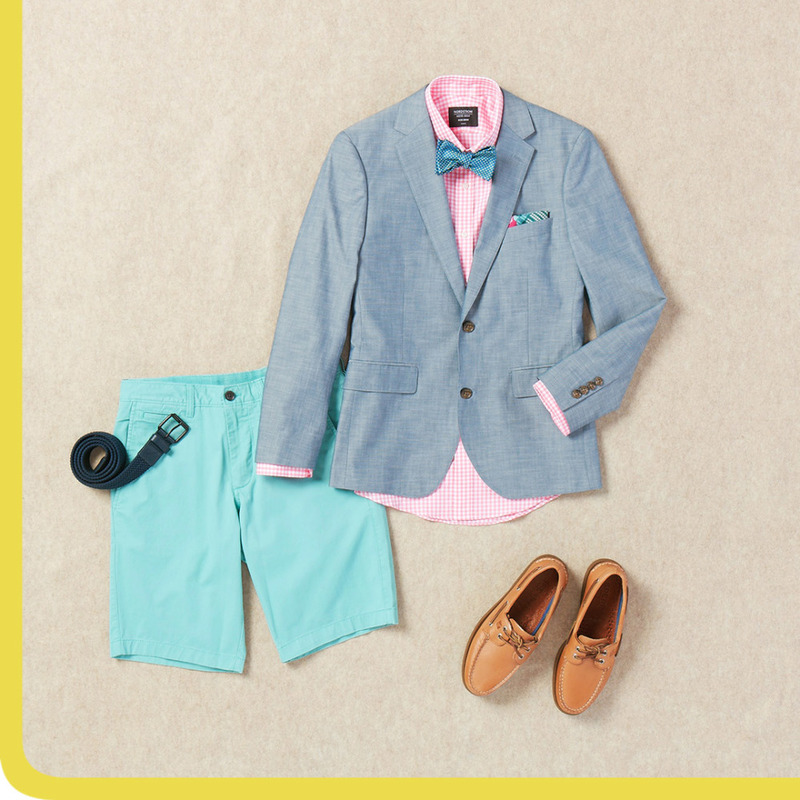 It’s like a smart-casual work outfit, but with some springtime flair. A white button-down and grey slacks are your blank slate to begin adding some Derby personality. 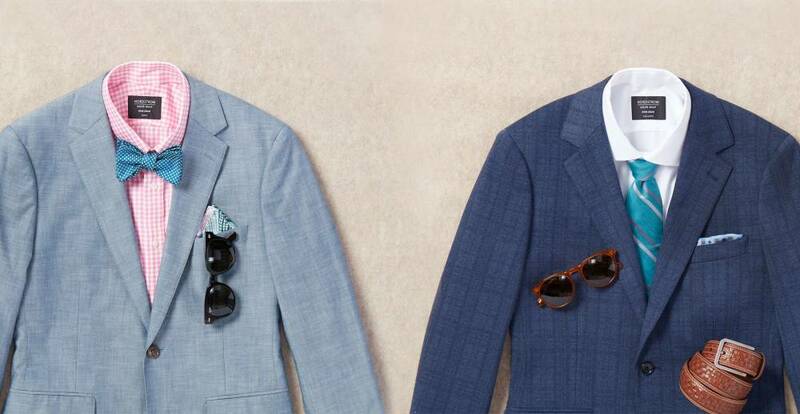 How do you feel about a patterned sport coat? Because we feel good about it. A subtle navy plaid adds that little bit of dapperness we aim for in a Derby outfit. As far as accessories go, this is how to take your look to the winner’s circle. Aqua, pink, teal, and pale yellow are good colors to keep in mind when looking for ties, bowties, and pocket squares. Feel free to incorporate a prep-inspired woven leather belt and a pair of matching loafers to round out the outfit. That’s a wrap on tips for Derby dressing! 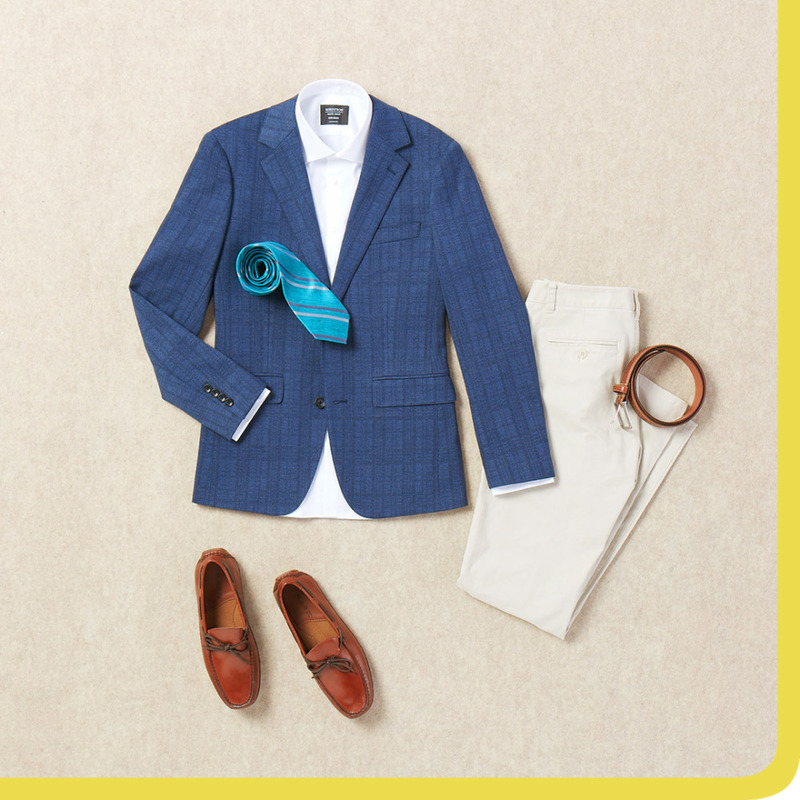 Show us how you styled yourself for the race and tag us on Instagram at @TrunkClub.